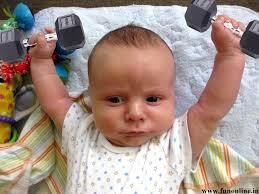 I'm exercising just like Daddy. I don't know how he does it, these are heavy. Can I put them down now? Wait? My arms are tired.